This is a horse farm on Wawaset Road in East Bradford, PA. The barn sits on a large hill overlooking a branch of the Brandywine River. I decided to try something different with this painting. 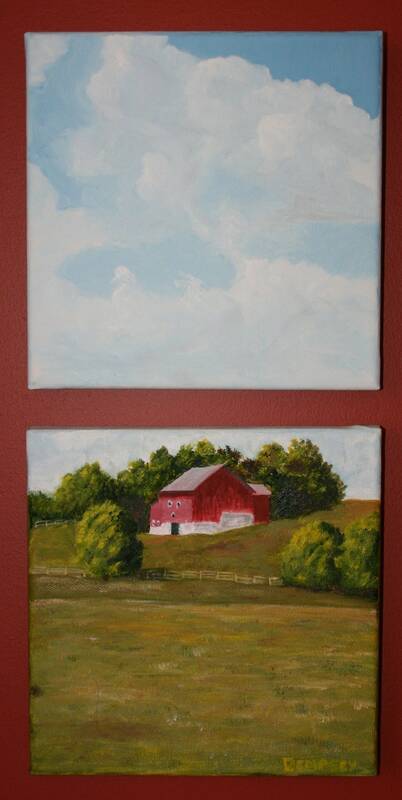 Rather than using a long, narrow canvas to capture both the barn and the clouds, I thought I'd split the scene onto two canvases. They are meant to be hung with a gap in between (see Photo 2). The painting is on two canvases, each one is eight inches wide by eight inches high. The canvases are gallery-wrapped, with the scene continued on the sides. So, no framing is necessary. The medium is oil. 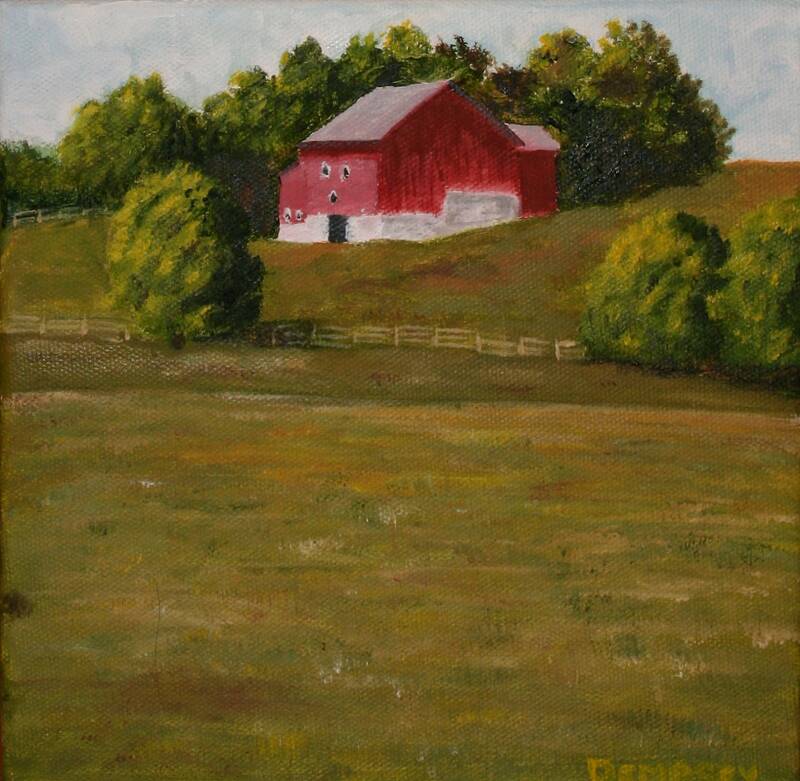 This was a study for a larger version of the scene, called Wawaset Farm.